Daniel Caspary was born 4 April 1976 in Karlsruhe, Germany. He is a German politician and Member of the European Parliament for Baden-Württemberg. He is a member of the conservative Christian Democratic Union, part of the European People’s Party. District chair of the North Baden CDU Youth Section (2001-2008); District Vice-Chair of the Junge Union, Baden-Württemberg (1999-2002). Chair, CDU municipal association, Stutensee (2002-2007); Regional Chair, CDU Karlsruhe-Land (since 2010). 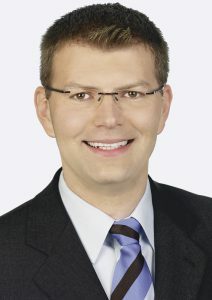 member of the Baden-Württemberg CDU Central Committee (since 2011).